How about a FREEBIE to start off the year? From now until February 5th, get special pricing PLUS 200 FREE door hangers on this new style self mailer! 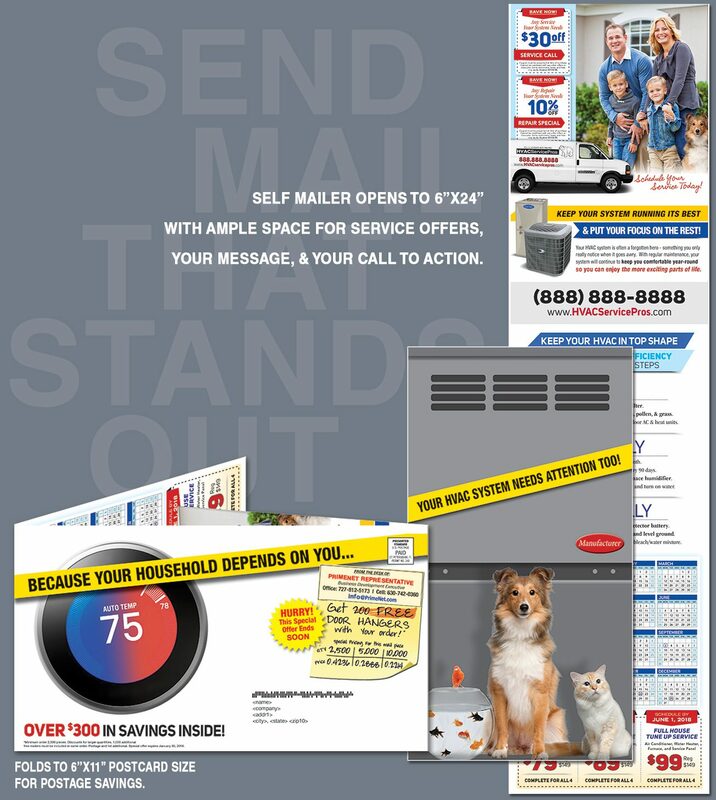 As unique as your HVAC business, the special design format will positively stand out in mailboxes! Featuring ample space on both inside and out for your artwork and your message, this self mailer conveniently folds down to 6″x11″so that you still are able to get a value rate on postage. Give us a call today to find out how to get started!